How do you tell your twins apart? 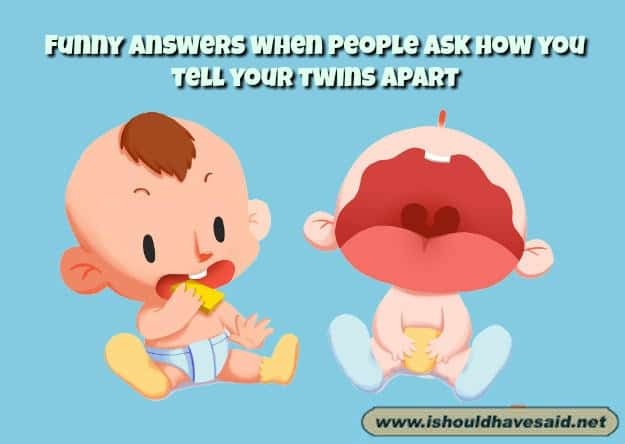 Parents of twins are always being asked, “How do you tell your twins apart?” Of course, it depends on who’s doing the asking, but go ahead, tell us what you think is the best comeback. Sometimes,I can’t. I just guess and hope for the best! That one has a Harley Davidson tattoo! I call them both George. It makes things easier. We only had one circumcised. 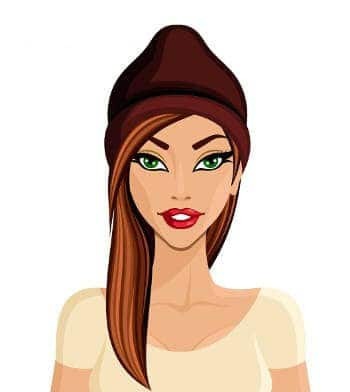 To read more answers to silly twin questions click here. To read more great comebacks you might like click here. What’s the best answer to the commonly asked question, “Are they twins?” Of course it depends who’s doing the asking, but go ahead, tell us what you think is the best snappy comeback. If you can think of a better comeback, let us know and leave a comment below. No, this one is ours, we found the other one at the grocery store. No, I had one and then decided to let the other one out a few months later. No, they were on sale, buy one get one free and I just couldnt resist.